ROBERT ELHAI is an award-winning music composer, orchestrator, and arranger. He has worked in a variety of genres including theatre, opera, concert music, and over 150 film projects. 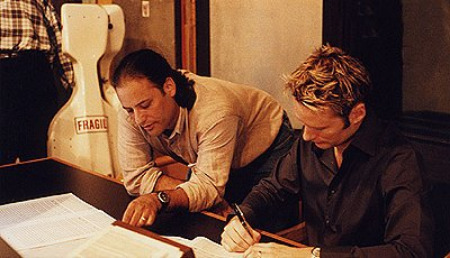 Robert Elhai (left) with film composer Brian Tyler.